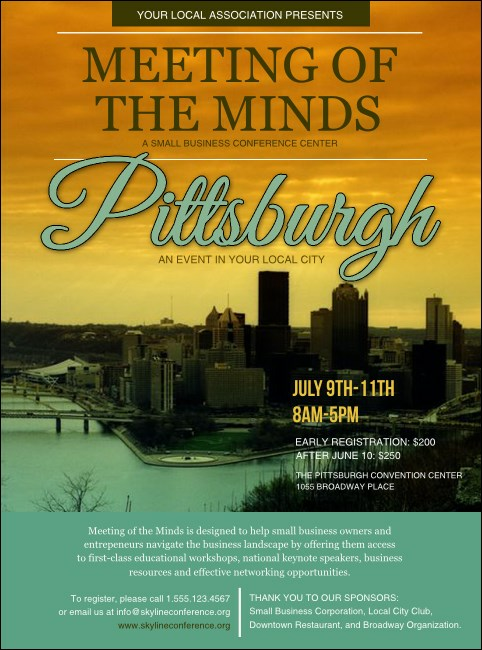 You don’t have to go to the Cathedral of Learning to advertise your next event like an expert! Print Pittsburgh Flyers in advance for your Ohio Valley event and watch the RSVPs roll in. Every Flyer features a gorgeous image of downtown Pittsburgh against an orange sky with the blue-green Ohio River flowing below. TicketPrinting.com helps you turn Steel City into advertising gold.